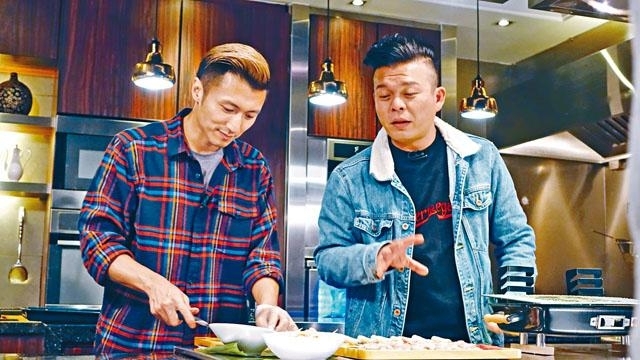 Nicholas Tse Ting Fung continued to talk about his past in CHEF NIC. Actually Ting Fung used to hang out at very local places, like video game arcades in Sham Shui Po and Wan Chai. "I would go to the Golden Shopping Center to buy games. When I was in my teens, I would go to the arcade to play games. I still was in my 20's. At the time I was already in the business. I would stand by other players to 'follow the machine', waiting for that stack of coins on the machine when he was done. I would fold my arms, stare at him and posed an impatient expression to let him know 'your playing was very average, hurry up and let me play'. Then that person would fold his arms, turn around and stare at me, haha!" The funnies though was Wong Jing would go to the arcade to talk about scripts with Ting Fung. "The arcade I went to the most was the one across the street from Wanchai's Emperor. At the time I played soccer games. Wong Jing would come to find me, put a bag of game cards on the machine. We would play while talking about scripts. He would ask, 'would you make the movie', I would say, 'Great, do it, who else is in it', 'when would it start production', yet my eyes never left the monitor, my hands kept pressing the controls. That was how we talked about scripts."